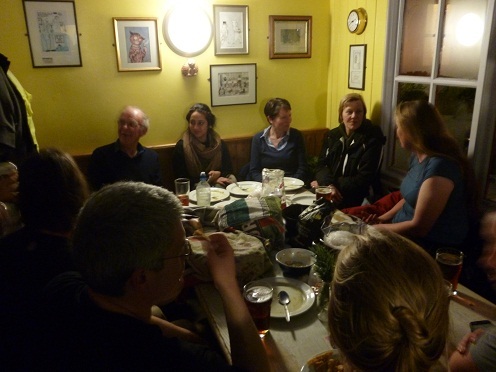 Great turnout for April’s social meeting, which is our regular opportunity to drink some beer, share food and set the world to rights. Lots of the Community Supported Agriculture members had come up from the World Future Society ‘The Food Community‘ meeting at UCS. They felt that the CSA was already doing some of the things we will need to look at in future according to the talk. 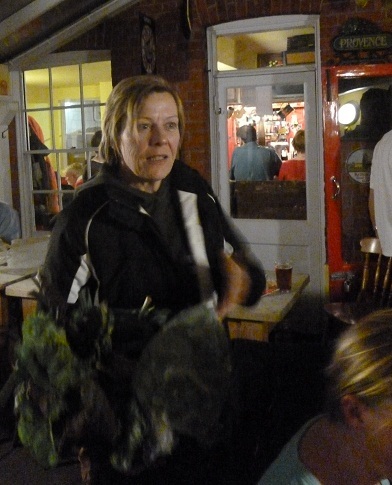 and Lesley got to pick up her veg box fresh from the farm as well! 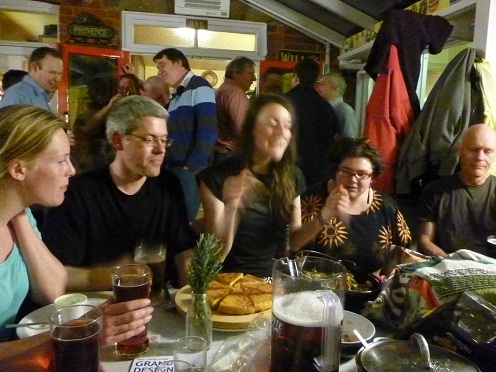 This entry was posted in community supported agriculture, general news and tagged fat cat, pub. Bookmark the permalink.